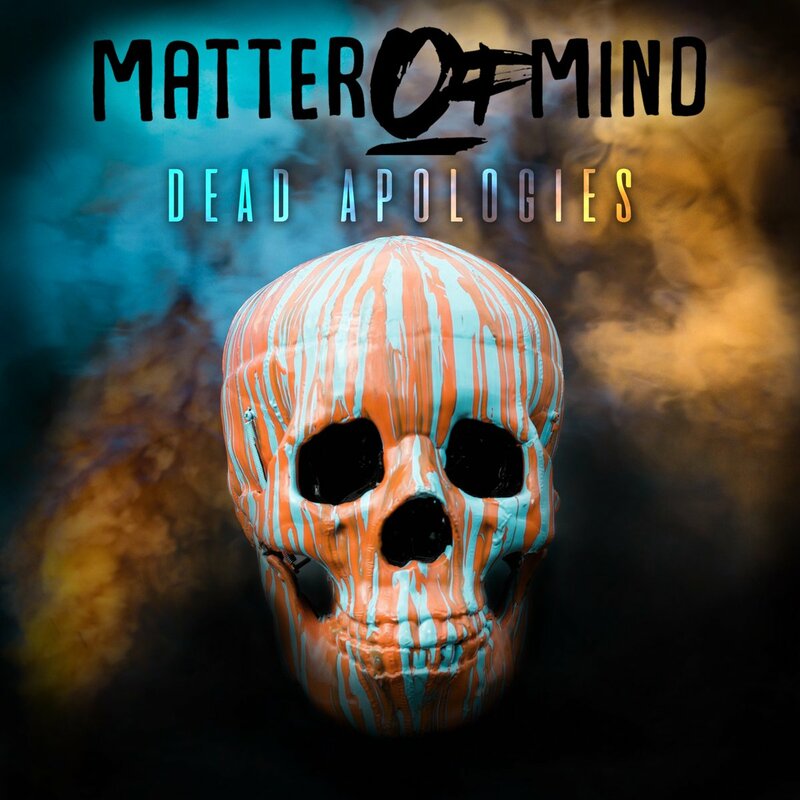 Matter Of Mind’s new EP Dead Apologies sees them broadening their horizons on a number of fronts. Featuring a rerecorded version of their single Far Too Wrong and their most recent Stay, it’s their most confident and assured release yet with a sound that’s tailor made for venues much bigger than they’re currently inhabiting. Intro is, as it says, an introduction to Stay. It allows Stay to hit you straight between the eyes with the riff that comes in behind Jordan as he sings the opening line. Its chorus “I’m never going to see you again, I’m never going to be your life” hints at a sadness and regret being expelled in a chorus that you can imagine bouncing off walls onto a heaving moshpit of bodies singing every word. It’s a song not afraid to reach past rock cliches though, the layers of vocals and backing vocals lifting the song in a way Matter Of Mind’s attention to detail gives their songs a gravitas many of their contemporaries simply don’t even consider. Clarity is another short instrumental piece whose purpose isn’t as clear as Intro’s, but it leads into It’s Obvious, a song that shows they can master and control lower volumes and slower tempos. The dual vocals of Jordan and drummer Conor and some exquisite searching harmonies feel like the comedown from Stay’s more full-on approach. It’s the sign of a band’s potential that they can offer something different than a set of songs that feel like variants on a formula and this is the second EP on the trot that Matter Of Mind have achieved this. The EP concludes with Far Too Wrong, a song that gathered them accolades and a series of festival slots this summer. And with good reason. Its “I couldn’t be more different if I tried” has an empathetic appeal to the outsider feeling that the pressures of society place on people today but meets it head on with its retort “I couldn’t care less if I tried.” It’s set to a soaring chorus, clever changes of pace that take down the song before bringing it back in a whirl of guitars and punishing drums to its conclusion. With sessions booked to record the follow up and their biggest headline show to date at Rebellion in Manchester already booked into their calendar, Matter Of Mind appear to have 2018 mapped out in front of them. If they can continue to produce work like Dead Apologies, their rise will gather pace further. Matter Of Mind play Rebellion in Manchester on February 17th. Matter Of Mind are on Facebook and Twitter.